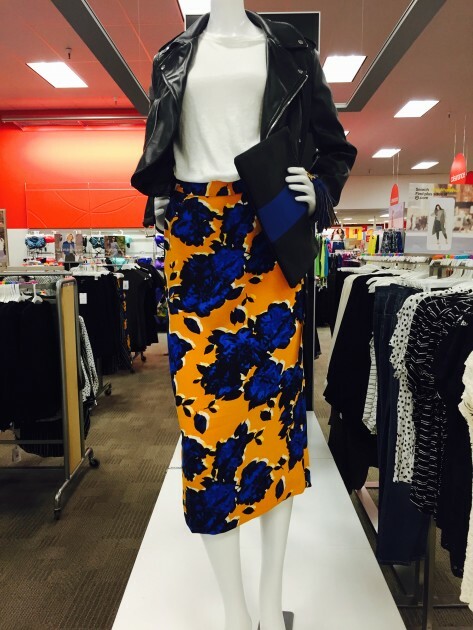 Quickie post my friends so you can get yourself off to Target to check out this fabulous collaboration for yourself. Target has teamed up with Hilary Kerr and Katherine Power, co-founders of leading fashion website WhoWhatWear, to bring you the WhoWhatWear collection – inspired by style directly off the street. Find the link HERE to view online the entire fabulous range. Some things that struck me about this collection was the fabulous price point (most $40 and under), the robust quality of the garments, the range in sizes (from a size 2 to a size 4X), the bright prints and the variations in pattern. This label would be a great chance to play around with some pattern mixing. Think of the polka dot skirt with the striped sweater. Important note: with collaborations like this, its on a ‘while stocks last’ basis, so don’t dilly-dally. Also note the entire range you see online , I did not see in my local Target store, so I would shop online for full selection and sizes. Another thing, they will add new items the first week of the month – I have my eye on an off the shoulder stripe dress that I am praying comes in store first week of March. Fingers crossed! It wouldn’t be right if I didn’t try a few styles for myself, gotta practice what I preach and give you the real 4-1-1. I was blown away by this Midi Shirt Dress with Convertible sleeves / HERE / $36.99. The material is soft, almost tencel like. I feel this dress has a lot of versatility. Imagine brown winter boots and a fabulous leather brown belt, pair it with a fun panama hat as I have, or simply leave it unbuttoned over a pair of white jeans and white tee. 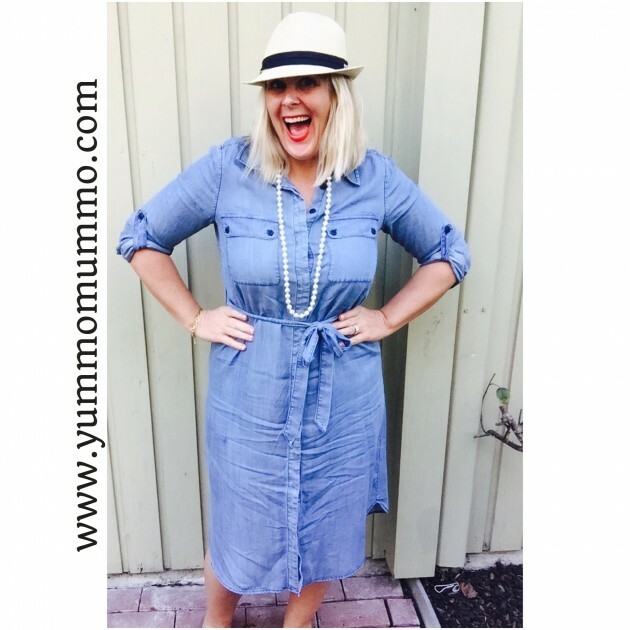 ‘Ive often steered clear of button down dresses as I worry they gape open all the way down but, it’s well made for the price and there’s no peep show, shall I say. It did wrinkle a bit, as you can see in the photo, but whatevs. In store vs on person. I also wore this over a black dress with striped shoes. 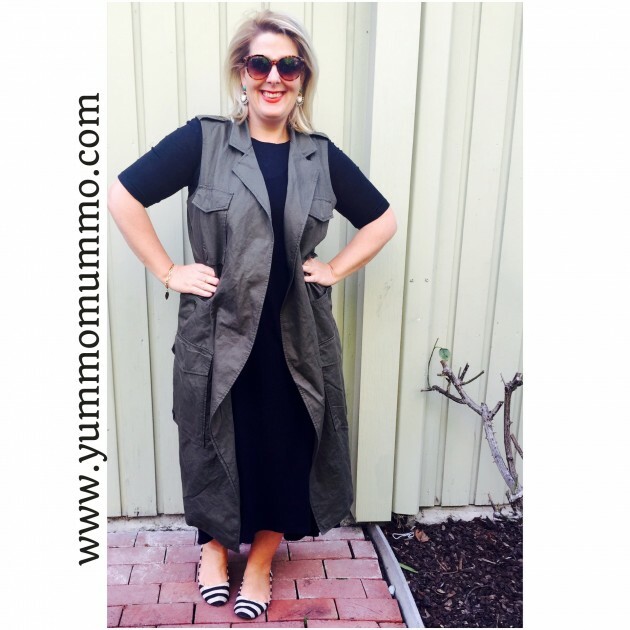 Want to see that look for yourself, head to my Instagram page HERE @yummomummo and follow me while you are there. Trench Vest HERE / $39.99. I can’t tell you how FABULOUS this skirt made me feel. Women’s Birdcage Skirt HERE / $29.99 / Side zip with hook closure. True to size. Paired with the Linen Tee / $17.99 / HERE (also in navy/white/red/striped/cobalt blue). I find the 1/2 sleeve design flattering and comforting for my “more to love” upper arms. The Pencil skirt shown HERE comes in a monochrome print and a polka dot print, as well as this beautiful floral deep blue and yellow. This just screams Spring. This floral print also comes in the fluted dress and a racer back top (which would look ah-mazing with white jeans – it would pop, maybe even explode). I’d love to see what you find for yourself in store or online. What’s your favorite outfit from what I purhcased? Leave me a comment below, I love every one I read! 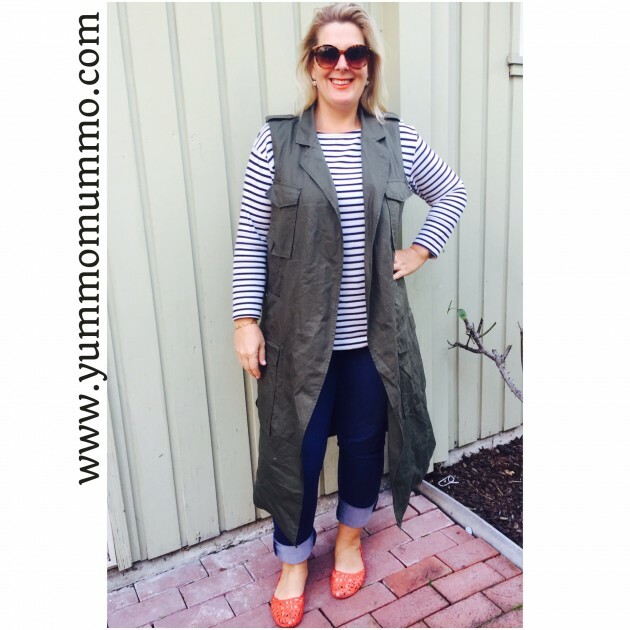 Follow me on Instagram @yummomummo for my daily outfit inspirations. I love seeing your styling of some of these pieces! 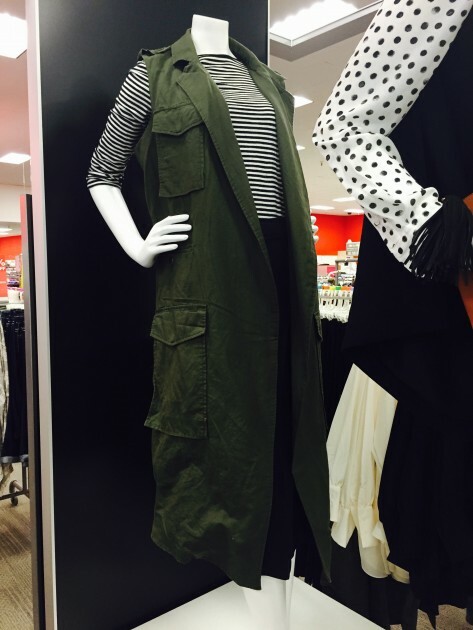 I was more enticed to buy based on your post than I was by the styling on Target’s site. Thanks for sharing!